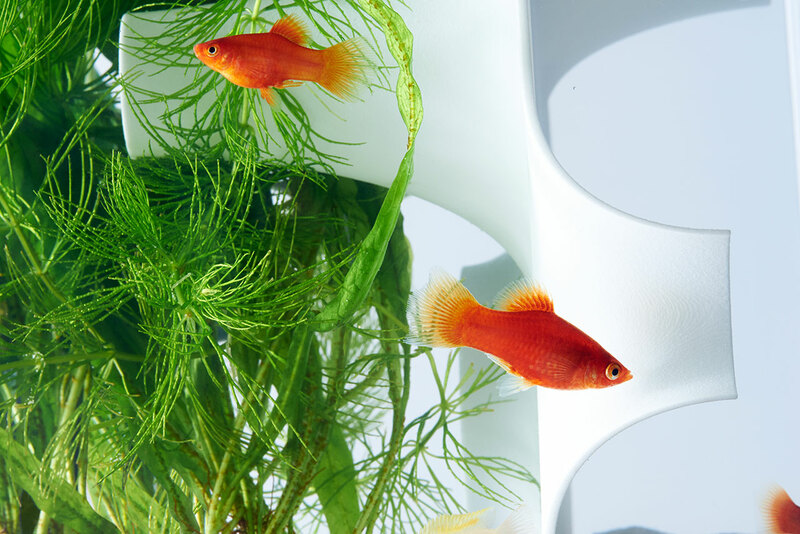 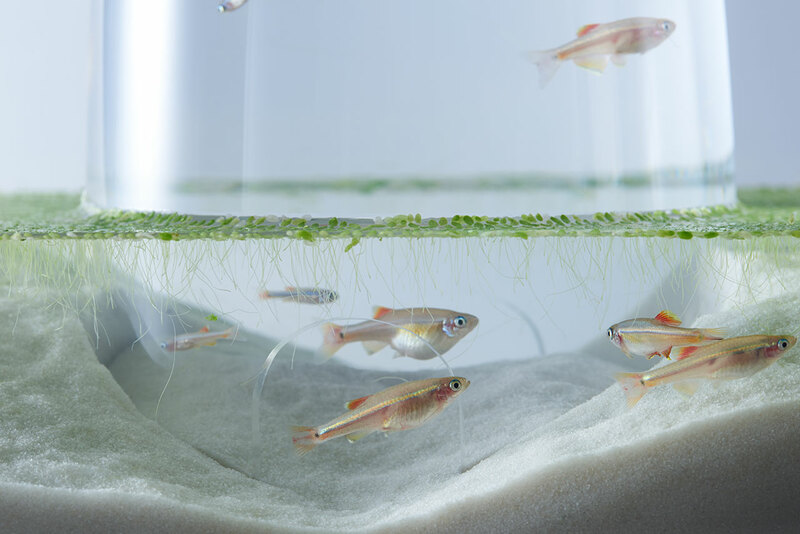 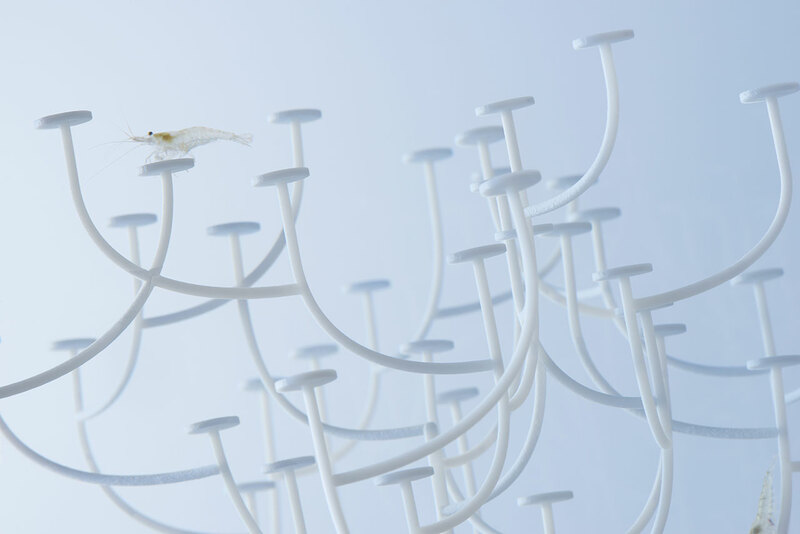 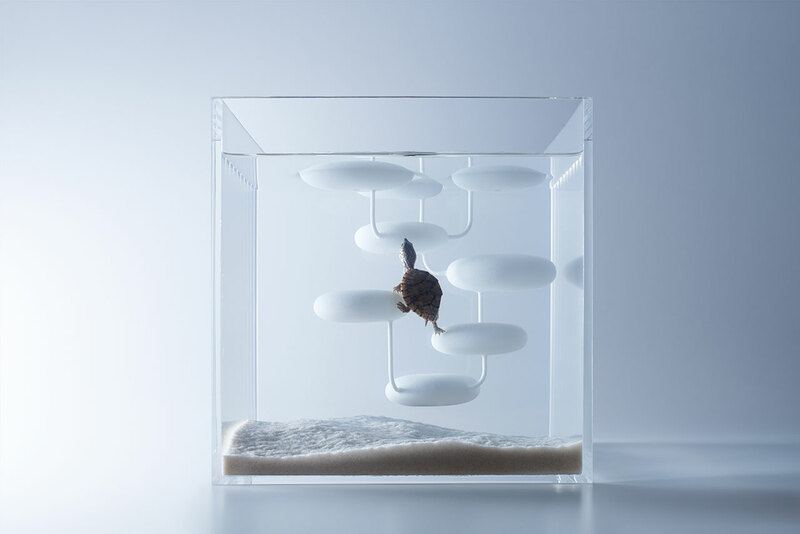 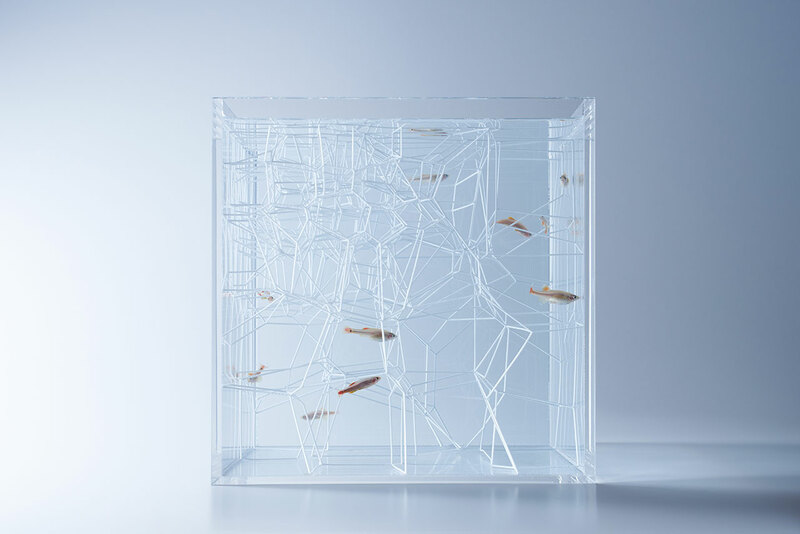 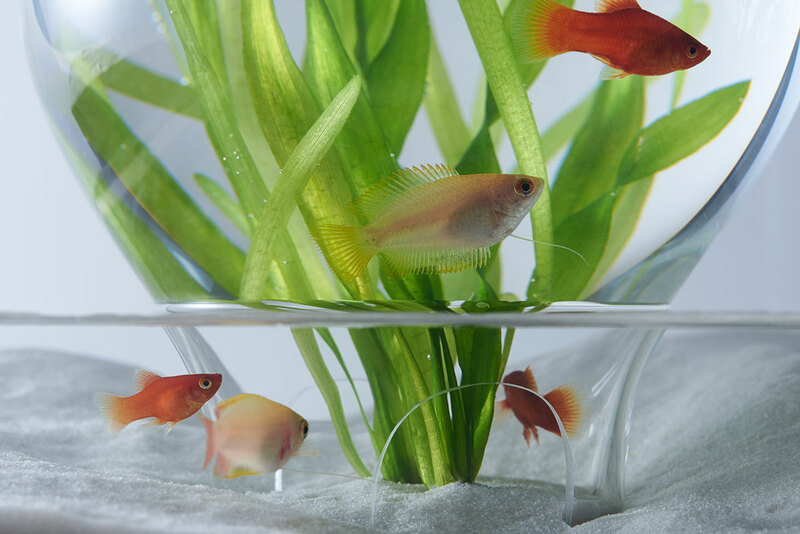 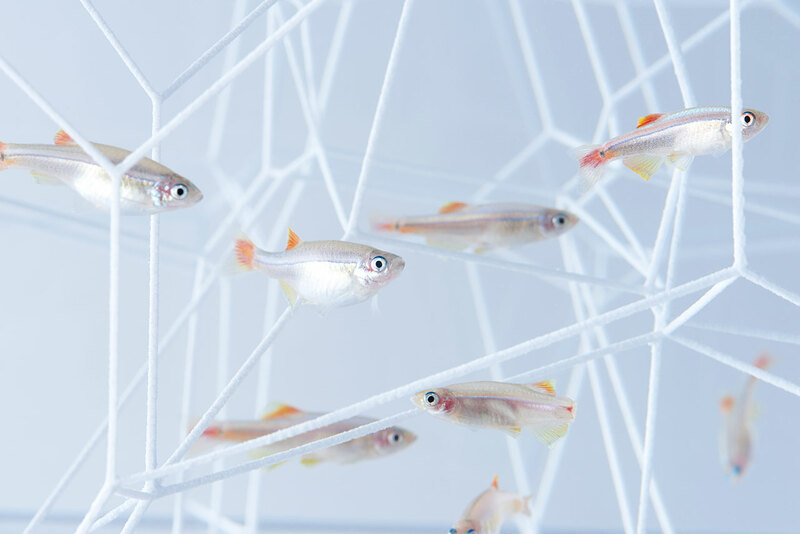 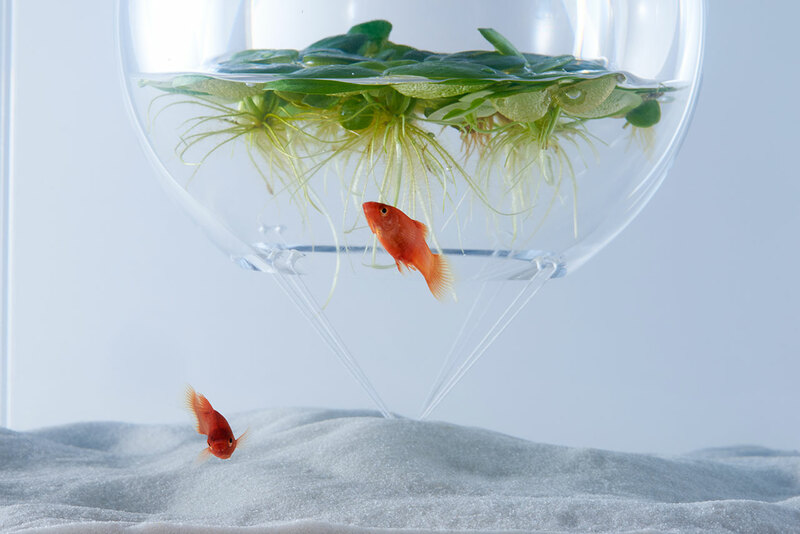 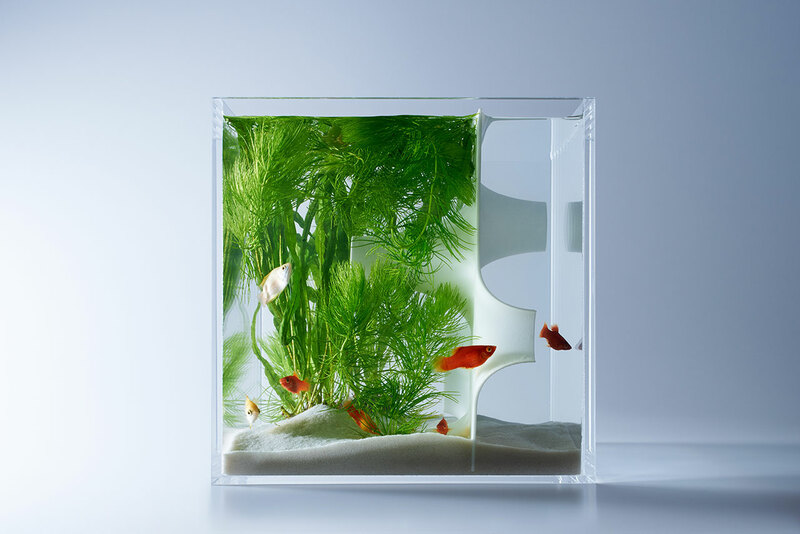 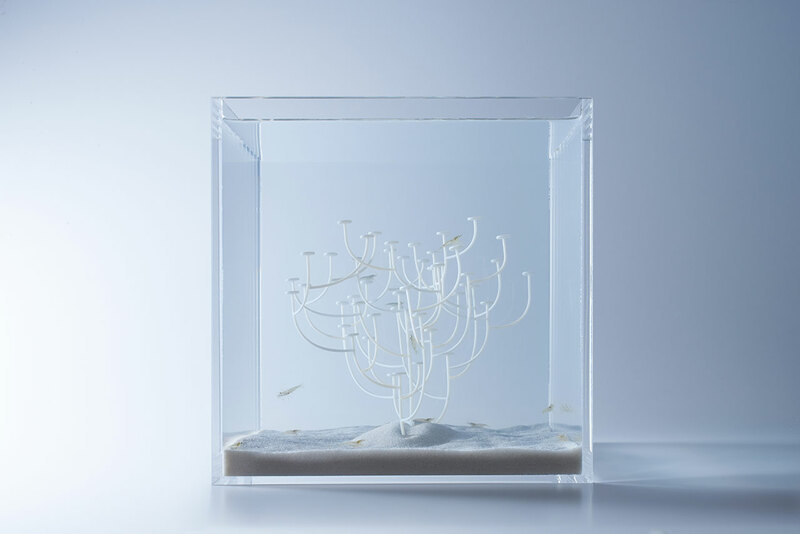 Haruka Misawa has unveiled an innovative new world for pet fish with Waterscape, a collection of minimally chic aquariums featuring 3D printed interior décors inspired by the natural environment. 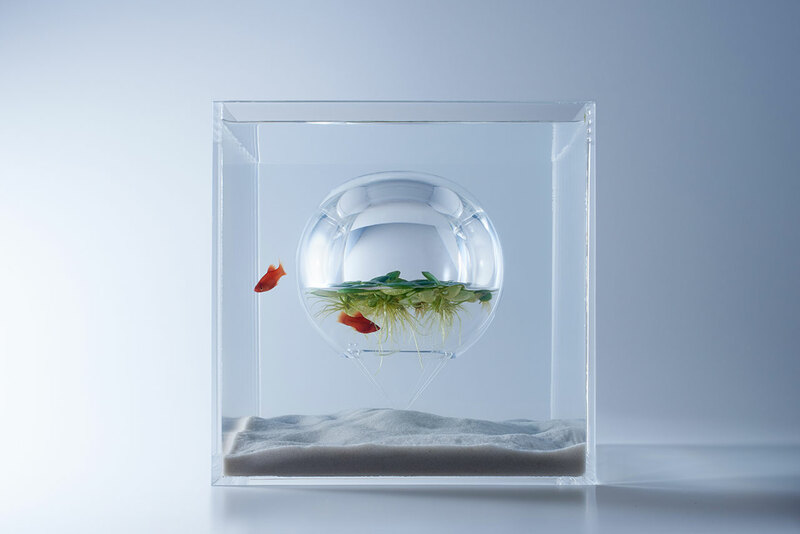 In a brilliant flash of creative genius, the Japanese designer was motivated to utilize the natural state of buoyancy vs. gravity, to create a series of delicate sculptures which would surely topple under the force of their own gravity if placed on dry land but work submerged in water. 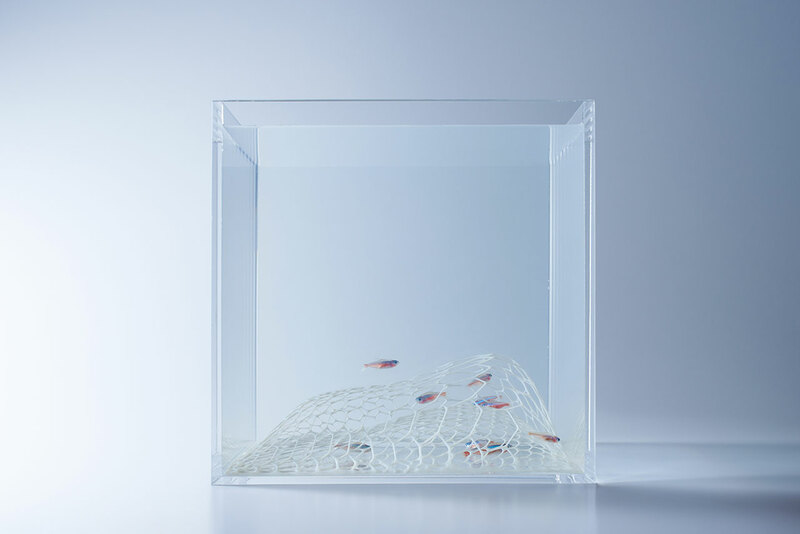 With many proposed variations, such as those featuring 3D printed sculptures that look like coral reefs, these underwater mazes allow the fish to hide and swim through them. 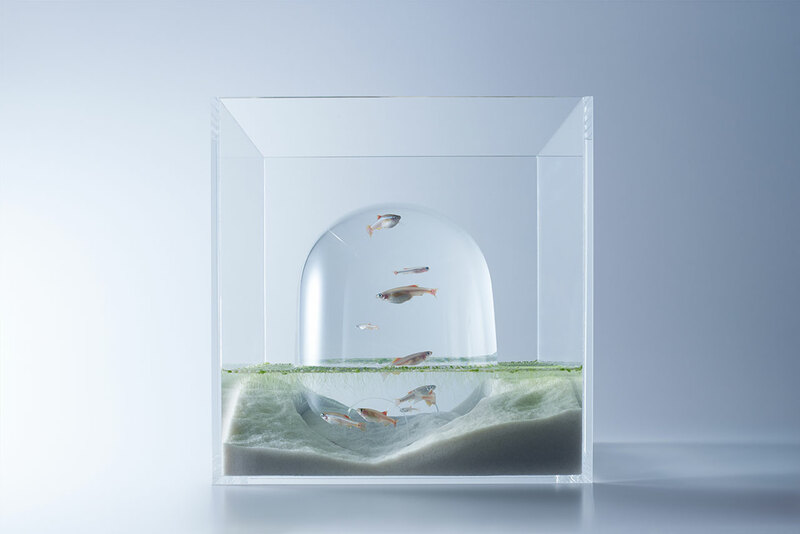 But what are perhaps some of the most impressive specimens of the Waterscapes series are the aquariums which encompass "air bubbles," or small domes at their centers -- think upside down fish bowls with caught air inside them. 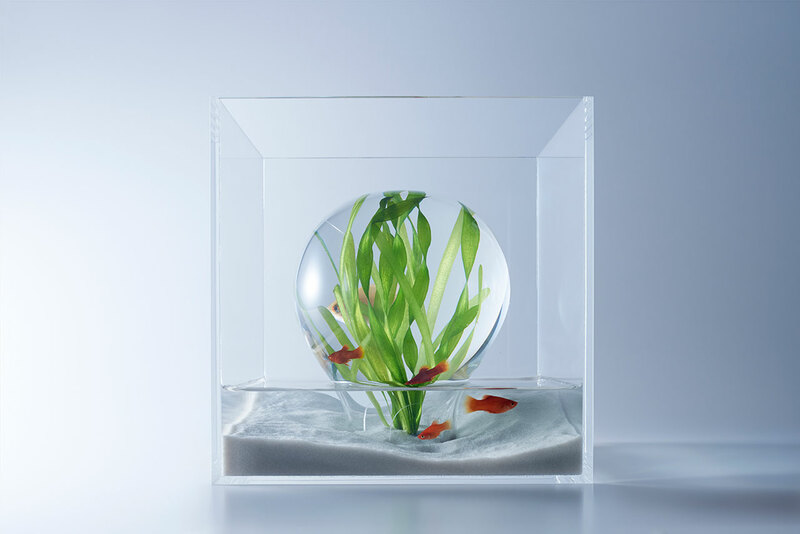 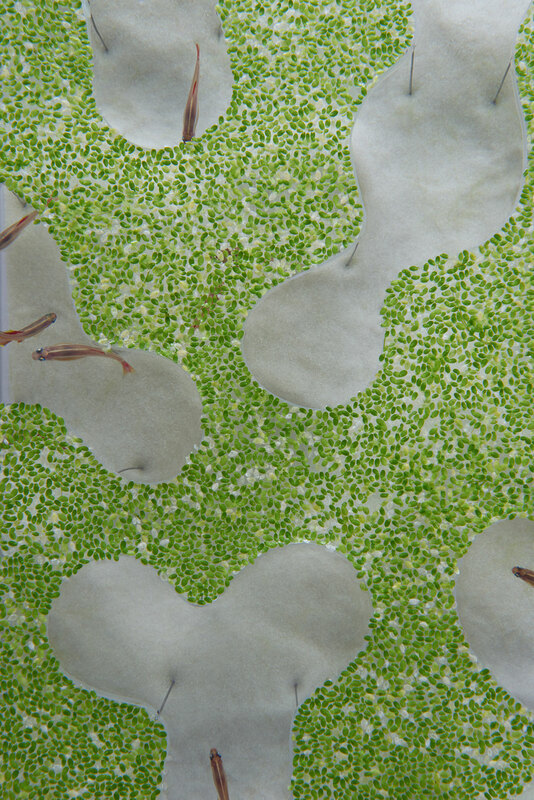 These house a thriving aquatic plant life that bobs gently on the water's surface inside the “bubble”… inside the aquarium, like an ecosystem within an ecosystem. 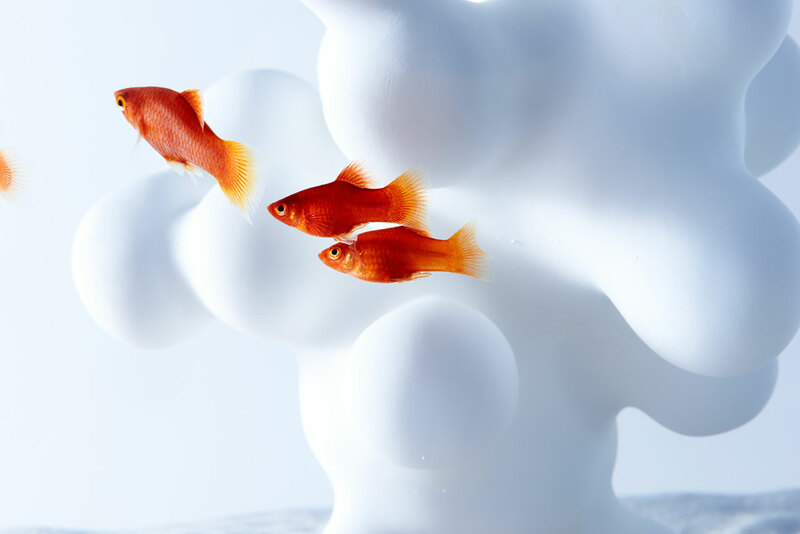 Watching the curious little fish explore their new environments, we have to wonder if they are thanking Haruka for finally saving them from the tacky, kitsch fish bowls of the past as they are invited to swim into this new world where their habitat might even be seen as covetable by other species. 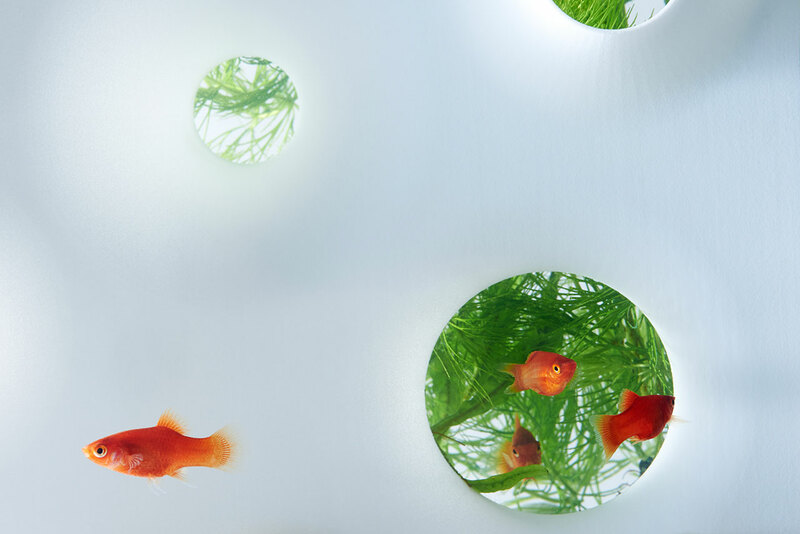 Unfortunately for them -- and us -- these stunning examples are merely prototypes so, for the moment, we can only admire them from afar. 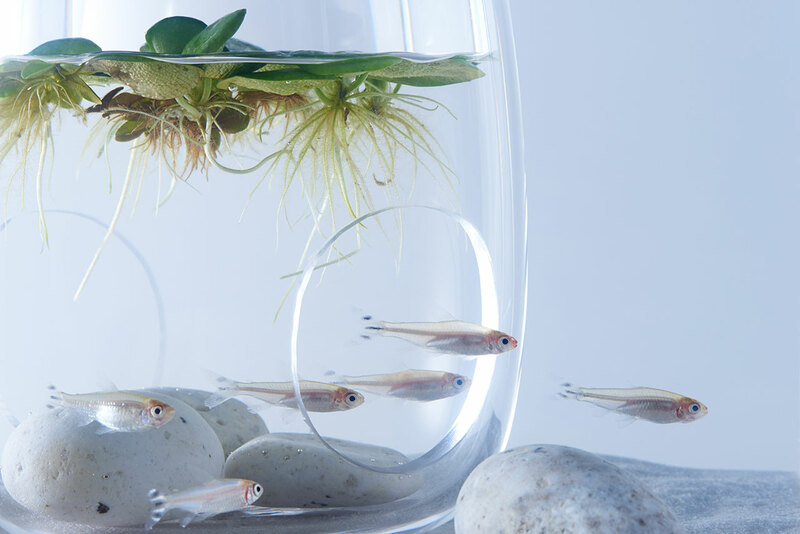 We're sure that the fish are already talking to their realtors! 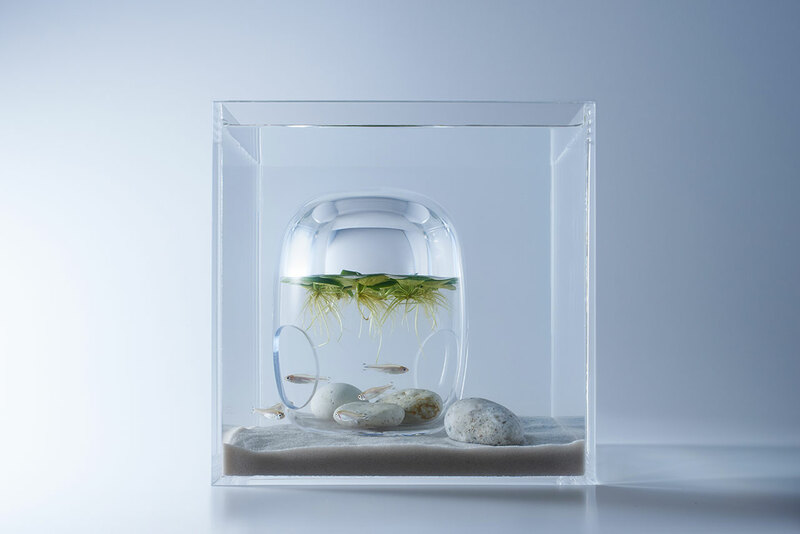 Waterscape from Haruka Misawa. 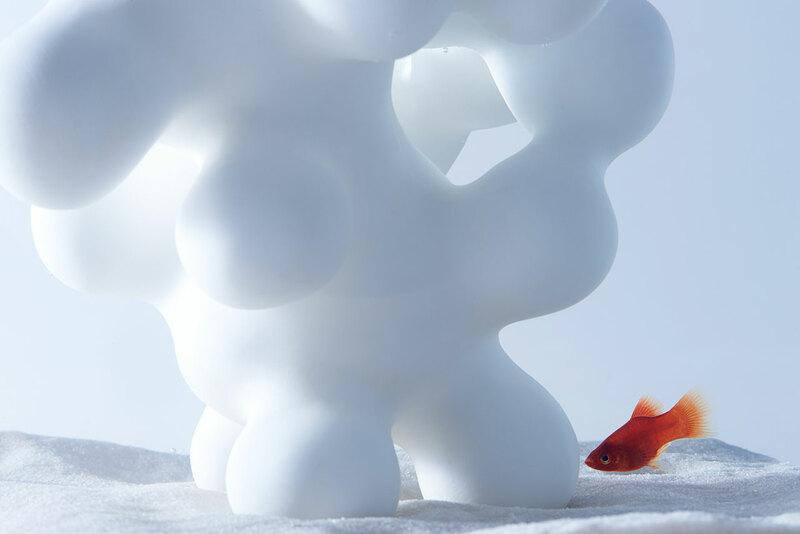 ART DIRECTION：Haruka Misawa (Misawa Design Institute／JAPAN), MOVIE：Masayuki Hayashi, FILM EDITING：Michihiro Kuroda, MUSIC：Yasuto Yokota.